Of all the Christmas gifts I get every year, my reusable water bottles have been some of my favorites. This year, I received a beautiful, turquoise glass water bottle that I’d been eyeing for awhile. It’s by a company called lifefactory. First of all, I love the wide mouth at the top. This makes it so much easier to clean and add ice. 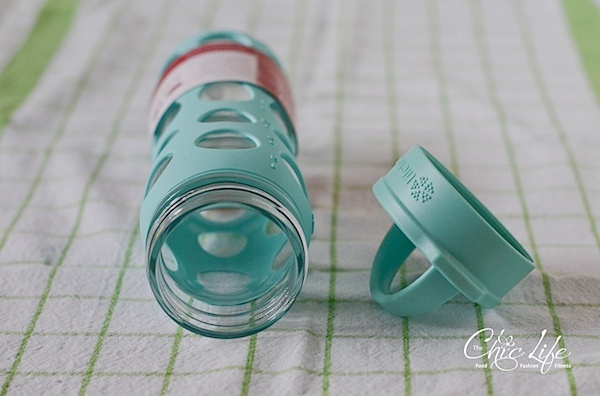 I’m often making up some ice water before teaching Zumba, and I can’t tell you how many times I’ve stood in the office break room slowly shoving ice, piece by piece, into one of my other water bottles. I also appreciate how the bottle is BPA free and also free of other things that hadn’t been on my radar (BPA being the big thing lately, it seems): BPS, PVC, or phthalates. And I thought the whole “water tastes better in glass!” thing was a little overrated before, but it really does taste better to me, almost more clean. And on top of taste, since the bottle is made of glass, you can put other things that may have reacted with some metal containers, like fresh slices of citrus: lemons, limes and oranges! I can’t wait to make up some of that for the summer (or sooner, perhaps…why wait for the summer, right?). But, I’d also consider putting other things in here I wouldn’t have with my metal containers: juices or smoothies. Did I mention it’s dishwasher safe? 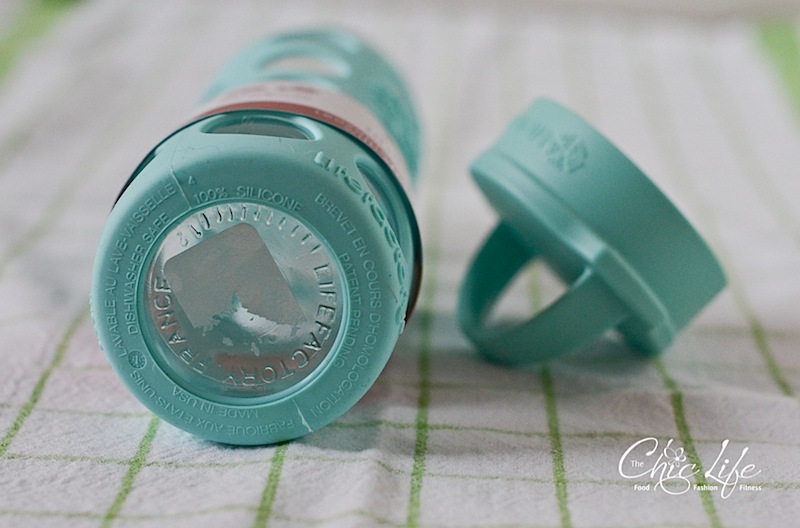 I’ve grown accustomed to hand washing my reusable bottles over the years, and I’ll still hand wash this one sometimes, but it’s nice to have the option to throw it in the dishwasher on my busy days. The only downsides I’ve seen with this bottle so far are: it’s a little heavier (0.95 lbs) and sometimes the lid seems to go on slightly off kilter causing the water to leak out if you’re not careful. Otherwise, this baby is leak-proof and great to use! 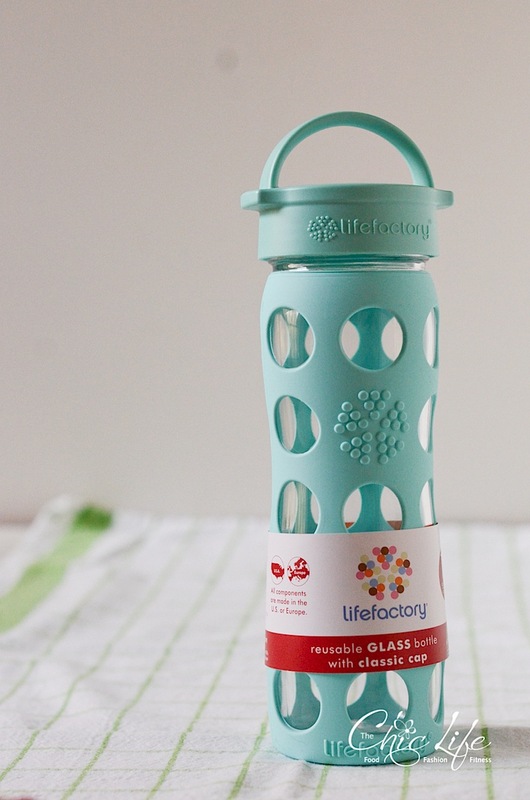 The 16 ounce bottle is $19.99 on the lifefactory web site, but it’s currently $17.80 on amazon.com and ships for free with prime. 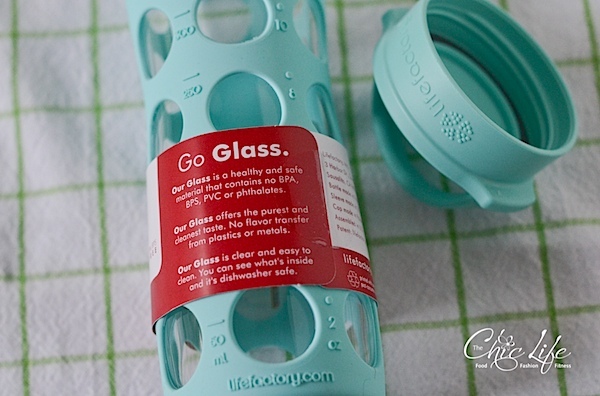 When I wrote this post, I saw 5 color options on the lifefactory site and 8 on amazon! Of course, the turquoise is my favorite. And there are also kid and baby options! So cute! Are there any other great, reusable water bottles out there I should check out? This is so pretty. I wanted to get my daughter one but was not sure how well this would hold up in the day of a high schooler! !